Flash Game catalog brings together a large number of flash games for the HP touchpad. Take advantage of flash technology in webOS to play hundreds of quality games. If you are using Max Blocker patch via Preware or other ad block system, flash games won’t load.. In order to perform slide actions on the tablet, tap twice on the flash game > “tap outside or pinch when finished” message will be displayed. Featured games are tested by users on the HP TouchPad. 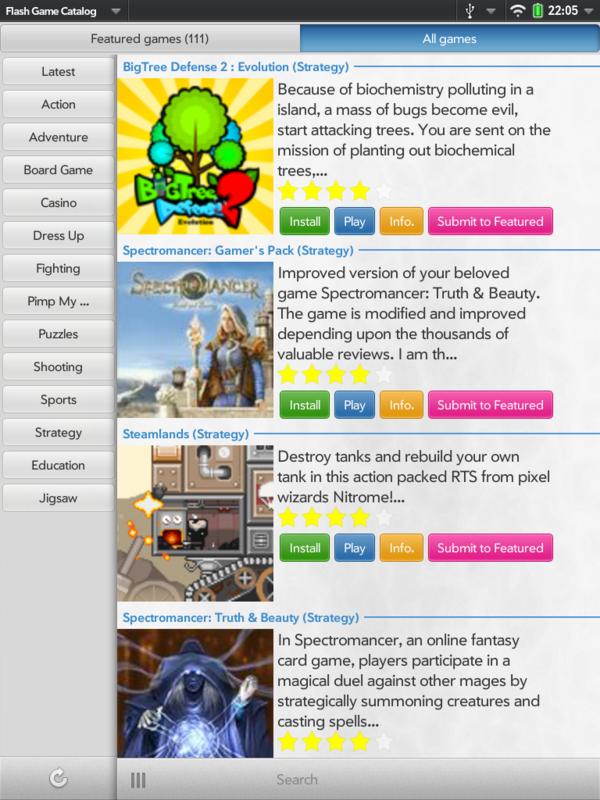 You can submit games to featured category from “All Games” panel. All games panel displays all games from the largest flash game feeds. Games using keyboard inputs are not shown in the list.’ Search box only shows games with 4/5 and 5/5 rating. Install button creates a shortcut in the webOS App Launcher. 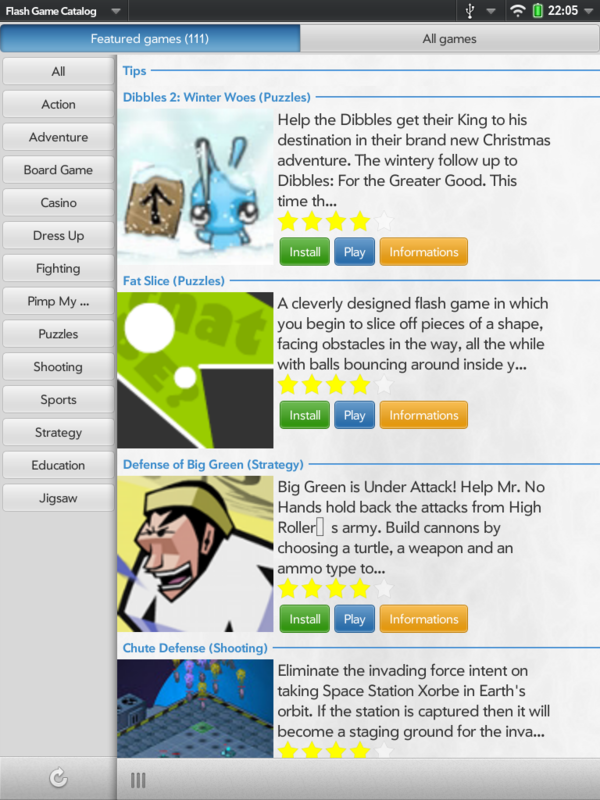 Shortcut will launch flash games inside web browser. 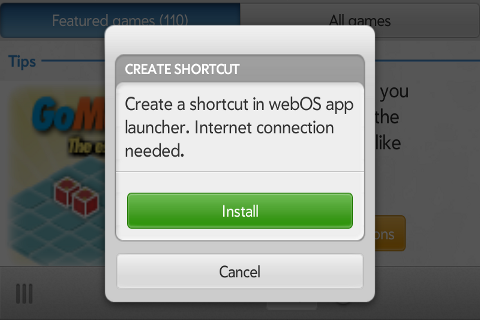 Install & Download button downloads and creates a shortcut in the webOS App Launcher. Shortcut will launch flash games inside web browser without internet connection. However, some games will require internet connection to work properly. If a game doesn’t load on offline mode, turn off wifi, this may solve local game loading issue. 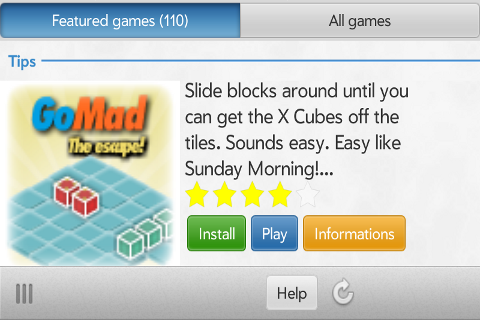 Games you can find in featured category are tested by webOS users. To find a game, go in “All Games” panel and select a category. 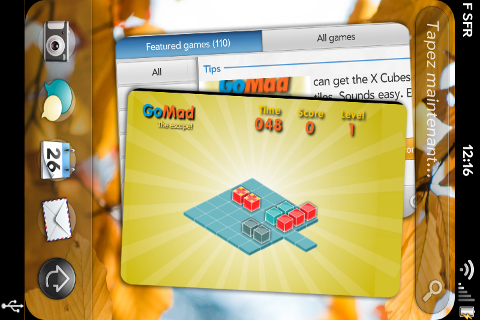 You can find more game by using searchbox with keywords like poker, panda, bee, fight, shoot, winter ….. If a game can be played on touchpad (new key inputs, good FPS rate) tap on submit to featured. If you are using Max Blocker patch via Preware or other ad block system, flash games won’t load. If you’re using 3G data connection, loading game (1Mo – 10Mo) may be long. Flash games are too small ! You can zoom in flash games if you haven’t sharp eyes. Please cross button at the bottom right, then pinch to zoom. Tap again on flash game to continue. ← Starter for HP TouchPad #webOS : launch several applications at once !